For the first time since the end of winter, this was the first weekend I wasn’t rushing around on the allotment digging, planting or dumping wheelbarrows of manure. I could simply spend the day sitting, taking stock and appreciating everything around me.. although ten minutes later, I was back on my feet weeding, watering and tying back. 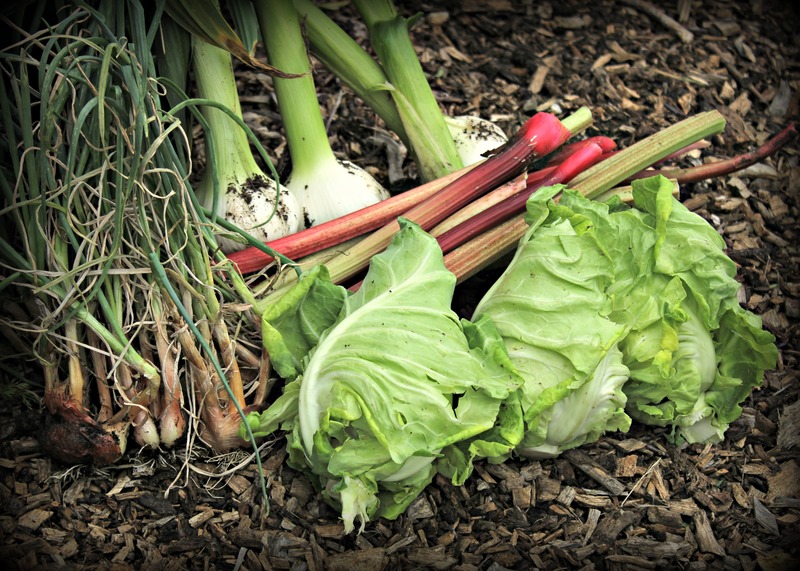 No growing year has ever been the same, but that’s part of the thrill of gardening. Where last year I lost my entire onion crop to the dreaded onion fly, this year my Kestrel variety potato foliage has been decimated by an unsavoury critter. While I look at other plots with their blooming potato foliage, mine looks rather sorry for itself. 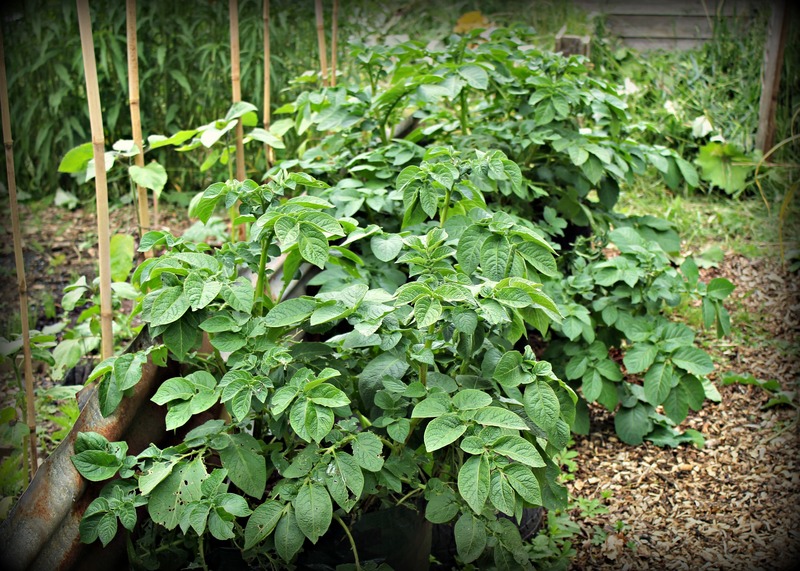 I’m not too upset though, as on another part of my plot I’ve been growing kidney potatoes, which are looking a lot healthier. 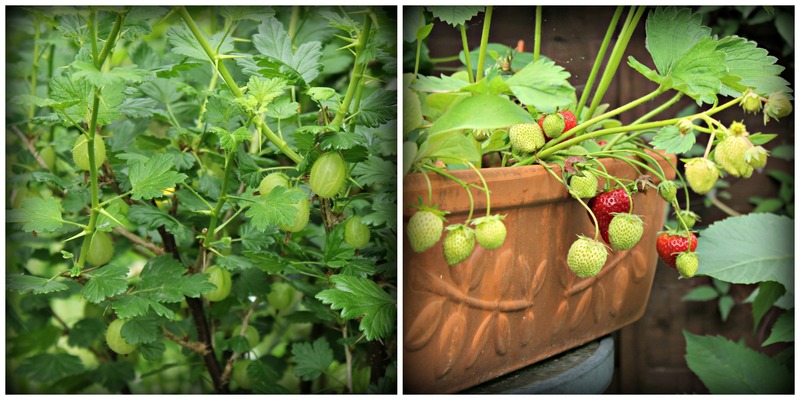 With fruit coming out of our ears from the garden, now was the time to harvest a few things from the allotment. 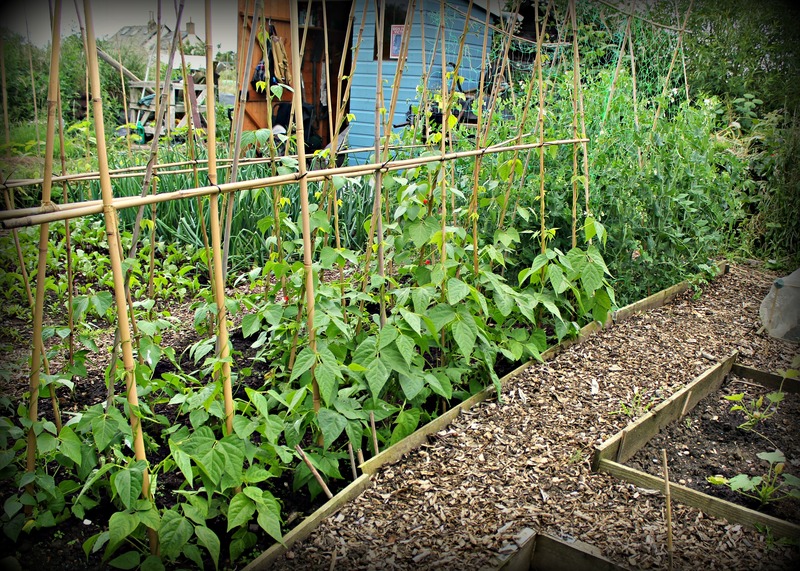 Not to mention, have a cheeky taste of one or two ripening vegetables, straight off the branch or up from the ground. First on the tasting menu, my Chantenay Carrots. Although they should have been thinned out by now, I like to grow them a little bigger, so we can throw the ones I’ve pulled into salads. Again, last year I had carrots coming out of my ears, yet this year I had to sow three lots of carrots before any germinated. Next up, peas. Although, we’ve already had a few batches as mange tout in stir fries, I’m allowing the rest to mature fully. There’s something so unique about eating freshly harvested crops. Not just the taste and smell, but to eat something you’ve grown from seed is such a joy. Unfortunately, only a minority of us will ever experience this. I have tried to explain this thrill to a few non-gardening work collegues who return the enthusiasm with a grunt. Then, with eyes glazed over, brains shutting down, they reach for their smart phones, pretending that their game of Candy Crush is a matter of national security. With my palate now tickled, it was time to focus on the bigger prize and harvest a few crops for home. Rhubarb, shallots, spring cabbage and garlic. 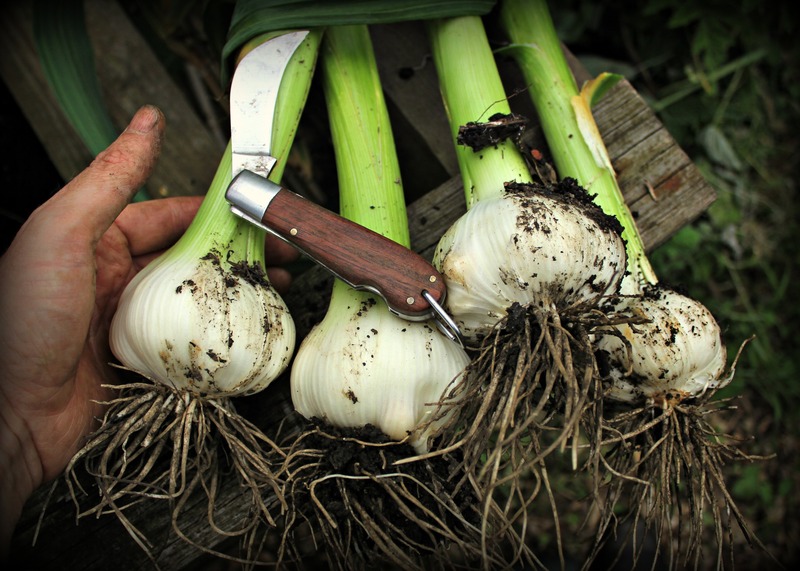 Open season has arrived, the allotment was making good on its organic promise.